UNITED NATIONS, April 12 -- "System-wide coherence" was a buzzword deployed Thursday by Ban Ki-moon when asked what UN reforms he will now be focused on. He said, "I am going to propose again my own recommendations on system wide coherence next Monday. I hope this will receive a good debate among the Member States so that the United Nations can work and deliver service as one United Nations." There are, it emerges, at least two major problems. The baseline proposal, developed last year by a panel including UN Development Program head Kemal Dervis, would make UNDP the lead agency for the UN's field work in all countries. But earlier this year, UNDP became embroiled in a scandal concerning its use of hard currency and government-seconded staff in North Korea. This led Ban Ki-moon to order an "urgent audit" of UNDP. Is this the agency that should be given more power, at this time? The countries in the Group of 77 and the Non-Aligned Movement have raised concerns that consolidating the UN's programs in their counties into a single voice might undermine sovereignty and their freedom to partner with whomever they choose. Insiders say that this bloc's opposition could be strategically divided: it is the moderate income countries who are strongest in these concerns, while the poorest countries would favor consolidation of UN program if it meant more funding flowing their way. In any event, a particularly sassy insider opined, it is shaping up not unlike Ban Ki-moon's proposals on the Division of Disarmament Affairs and on splitting the Department of Peacekeeping Operations in two -- reforms announced without enough prior consultation or strategizing, followed by ring-kissing and some staged applause in the General Assembly. Seemingly in an effort to pre-spin the UN press corps for next week's "coherence" disconnect, a background briefing was offered Thursday afternoon. The timing coincided with a luncheon -- off the record, of course -- offered by French Ambassador de la Sabliere to the not-French-skeptical portion of the UN press corps. The expert who did the coherence briefing cannot, by the dictated ground rules, be identified other than as "a senior UN official." The reason for this restriction is not clear, particularly when the individual's prior job in the UN system, in the environmental orbit, is said to have played some role in the inclusion of sustainability in the current coherence proposal. That said, this senior UN official was, unlike UNDP, willing to answer questions. Inner City Press asked how the opposition of NAM and the G-77 bodes for Ban's coherence proposal. The senior UN official said, "The G-77 raises legitimate concerns." He did not explain how the coherence panel did not address, or apparently even hear, these concerns while it prepared its proposal. He said that Mr. Ban has asked Deputy Secretary General Asha Rose Migiro to lead the charge on coherence, and that DSG Migiro will be meeting on the topic on April 13 with General Assembly president Sheikha Haya Rashed Al Khalifa. In terms of coherence, it's worth noting that Ms. Migiro has yet to hold a press conference, having so far publicly taken a total of four questions from the media, including one from Inner City Press about UNDP and this "One-UN" coherence proposal. Would Friday be a good time for DSG Migiro to take questions? We'll see. The senior UN official offered Thursday was asked by Inner City Press to address a scathing report of the UN Office of Internal Oversight Services which discloses that several UN funds and programs refused to share with OIOS financial information necessary for OIOS to carry out an audit, called for by the General Assembly, of the UN's responses to the tsunami. The senior UN official said that OIOS' "report assumes the agencies are at liberty" to provide information to OIOS "when in effect they're not" due to "rules of their governing bodies." This was a noteworthy answer, unfortunately delivered by the UN only on a not for attribution basis. How can it be that parts of the UN system can claim they do not have to, and even cannot, give information to UN's main investigative body? 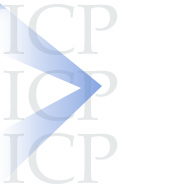 The need for coherence -- and credibility -- is more urgent than originally thought. Inner City Press asked, So when will this be addressed? The senior UN official referred to a meeting next week in Geneva of the UN System's Chief Executives Board, CEB, then said that deciding on making internal audit information available might take longer, up to a year. Since UNDP's Associate Administrator Ad Melkert told Inner City Press in December 2006 that UNDP was getting right on the case, this new "one year" projection is hardly coherent. But when UNDP won't answer any questions -- click here for one example -- and the UN officials who do speak insist to not be named, the lack of coherence must be blamed on the UN system itself. Whether there's any solution in the offing will begin to be clear, if not coherent, next week. Watch this site. UNITED NATIONS, April 12 -- The UN Development Program, faced with the expulsion from Gambia of their representative for questioning Gambian president Yahya Jammeh's claim to cure AIDS without medicine, had a decision to make. Should UNDP stand behind its staff member Fadzai Gwaradzimba, who on AIDS had offended Gambia's strongman president? When Sudan's Omar al-Bashir expelled Kofi Annan's representative Jan Pronk in 2006, Annan keep Pronk in the post and did not replace him until his contract expire. Or should UNDP accede to Jammeh's mystification of HIV, and meekly appoint a new and more compliant representative to Gambia? On April 11, UNDP issued a press release, not even mentioning Fadzai Gwaradzimba or the grounds of his expulsion, only announcing the appointment of a new UNDP Officer in Charge in The Gambia, Adama Guindo. The pro-Jammeh newspaper The Point published UNDP's press release word for word, click here to view. Adama Guindo's c.v. is impressive, but it is not the issue. Where and when would UNDP explain why, unlike the Secretariat with respect to Jan Pronk, it simply gave in to Jammeh's expulsion of Fadzai Gwaradzimba for having dared voice the position of the UN's own World Health Organization and UN AIDS? Inner City Press: It was announced that the UN�s representative in Gambia, who is a UNDP representative, was thrown out for having challenged the President's claim that he could cure AIDS with no medicine, but in some other way... He was expelled from the country, and now UNDP has replaced him with another person, who presumably won�t criticize. Can you explain why -- who made the decision in the UN system to -- unlike Jan Pronk, whom Kofi Annan stood behind to the end of his term -- to actually replace someone who was expelled for having criticized...? Inner City Press: But he was also a UN representative. Deputy Spokesperson: I understand, but I think this person came back to the UNDP for consultations. We would really have to ask the UNDP. Inner City Press: The Secretary-General had no role in...? 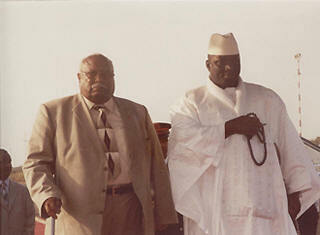 The request is for a comment on the replacement of Fadzai Gwaradzimba as representative to The Gambia, after criticism of Yahya Jammeh's claim to cure AIDS without medicine, and specifically for a comment on the comparison of this replacement by UNDP in The Gambia to Kofi Annan keeping Jan Pronk as his envoy to The Sudan even after Pronk's expulsion by President al-Bashir. Why did UNDP replace the resident representative, and what have Gambian officials and UNDP asked about Adama Guindo's views on Jammeh's claims to cure AIDS? Did UNDP make any comment in connection with last year's elections in The Gambia, in which it was alleged that press was intimidated and non-eligible votes were brought in from outside the country? What is the status of UNDP's work with the press in The Gambia, Zimbabwe, and North Korea? Separately, I am attaching information sent to Inner City Press regarding UNDP's Philippines operation, on which your comment is requested. (As you know, no comment was ever provided on Greenpeace's assertion that UNDP supports a controversial gold mine in Romania, nor on Mr. Melkert's hiring of a second personal assistant from the Dutch Labor Party, etc -- the questions have built up, but today Marie Okabe said to ask UNDP, so I am. An update on the status of the urgent audit of UNDP's North Korean operations is needed, and is requested. As the Secretary-General was asked earlier today, is the 90-day time line being extended? Is UNDP aware if the auditors will be able to enter North Korea? Did Timo Pakkala and Mr. Povenzano speak with the U.S. Attorney's office / SDNY? Did anyone else at UNDP? Please confirm receipt of this email, and answer the outstanding questions. Thank you. On 11 April, Mr. Adama Guindo began serving a short-term assignment as Officer-in-Charge of UNDP in The Gambia, where he will manage the organization�s operations. The Representative of the Food and Agriculture Organization currently coordinates UN system activities in The Gambia. Mr. Guindo, a citizen of Mali, has extensive international experience, including as UNDP Resident Representative/Resident Coordinator in Liberia and Madagascar and as Deputy Special Representative of the Secretary-General and UNDP Resident Representative in Haiti. Prior to his arrival in Banjul, he served as Officer-in-Charge of UNDP Senegal. Inner City Press went and asked Ms. Okabe if this was all that would be provided, by UNDP. She nodded. Apparently this means that the other questions outstanding with UNDP will not be answered either. On this, where and when will UNDP at least explain why, unlike the Secretariat with respect to Jan Pronk, it simply gave in to Jammeh's expulsion of Fadzai Gwaradzimba for having dared voice the position of the UN's own World Health Organization and UN AIDS? the new representative had reaffirmed his commitment to work with the Gambian government in the area of health and other developmental needs. The new representative must avoid countering the President's policies and aids program. The President said he careless how the UN and other agencies perceived him. He said he had found cure for aids and no one can make him change his mind on his new aids discovery. The UNDP office have two choices. One, to join the President to help cure the aids sufferers or to avoid interfering with his 'spiritual gift' to tackle aids. As we speak, he has called on his patients to stop using anti-retroviral drugs. He said such drugs shorten the lives of aids patients. He said the West just want to make money by inventing such drugs. This what he told us at a meeting,' said an official of Gambia's health Ministry. Perhaps UNDP will have a comment on this? In the statement provided through Ms. Okabe, there is one next fact, beyond the UNDP April 11 press release: "The Representative of the Food and Agriculture Organization currently coordinates UN system activities in The Gambia." This seems to indicate -- as noted, UNDP will not clarify -- that UNDP is no longer the UN's lead agency in The Gambia. This raises questions about a topic Ban Ki-moon brought up on Thursday, his proposal for "System-wide Coherence." Under this plan, also called "One-UN," which UNDP's Kemal Dervis helped devise but which the G77 and NAM are now criticizing, UNDP would become the lead UN agency. Will not only UNDP's still unresolved (and unexplained) use of hard currency and government-seconded staff in North Korea, but also not UNDP's capitulation on the issue of AIDS, and loss of lead agency status in Gambia, impact the System-wide Coherence debate and outcome? We'll be asking. But if the past is any guide, UNDP will not be answering. And so we'll ask others. UNITED NATIONS, April 7 -- The UN Development Program promotes itself on it website, by issuing press releases, and by funding ostensibly independent media to sings its praises. 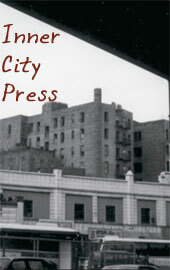 Four months ago, Inner City Press showed UNDP to have spent over half a million dollars publishing a book to sing its praises. Now UNDP goes one step further, having staff and interns spend their work time making anonymous pro-UNDP postings on non-UN blogs and web sites. A cursory search finds sites such as http://mdg-reality.blogspot.com/ full of pro-UNDP postings, some going so far as to praise by name Hafiz Pasha, UNDP's head for Asia and Pacific, currently embroiled in the North Korea hard currency and counterfeit scandals. A posting from "satem" gushes about "what Hafiz Pasha calls the tyranny of averages: as the average income rises for the region there is a tendency to forget those left behind." While possibly -- though only debatably -- such sycophantry might have a place on web sites clearly labeled as authored by UNDP, the implanting of this propaganda by UNDP personnel on non-UNDP web sites is questionable. 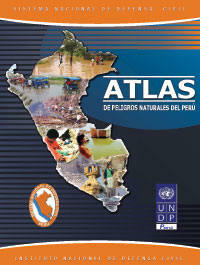 Since it was not unlike involuntary dentistry to get answers from UNDP on its spending on the book "UNDP: A Better Way?" it is not clear when UNDP's propaganda budget will be disclosed. But we'll try. 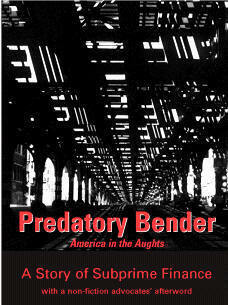 The flipside of affirmative propaganda is the burying of negative information. Sources inside UNDP question what has happened with the results of UNDP's supposedly independent Global Staff Survey. In previous years, results have been released by now. This year's survey appears to have been "buried," in the words of one UNDP insider. We'll see. Melkert - thinking of Wolfowitz? A point here is that the same "satem" on Friday, April 6 posted as "intern" that UNDP is supporting democracy - click here to view. And who is it, exactly, that pays for and posts to http://unworks.blogspot.com? Whatever the ethics, it should be disclosed. "met the UNDP crowd and spent yesterday hanging out in air conditioned cars with people who can't say hello in Kinyarwabda who are effectively running the country. Weird." UNITED NATIONS, April 3 -- On Tuesday, Inner City Press asked Ban Ki-moon's spokesperson if Mr. Ban would withdraw immunity from any UN Development Program official who declined "voluntary" invitation to be deposed at the office of the U.S. Attorney for the Southern District of New York on the North Korea scandal(s). Inner City Press: If UNDP officials decline to speak on a voluntary basis with prosecutors about the counterfeit matter at UNDP, would Ban Ki-moon consider lifting immunity? Spokesperson: I'm sorry. Your "if" is a big "if." From what I know, they're collaborating with federal investigators. So there are no "ifs" here. If you have further questions about UNDP and the situation of the fake money, then you can talk to David Morrison. And further to your recent questions about the work being done in auditing UN activities in the Democratic People�s Republic of Korea, we have been informed by the Audit Operations Committee of the UN Board of Auditors that last week, the Committee completed the preparatory portion of the DPRK assignment, which was being done here at Headquarters as you know. A scoping report, which would determine the parameters of what is being audited, is currently being drafted for further consideration by the Advisory Committee on Administrative and Budgetary Questions (ACABQ). That was in answer to your question yesterday. Question: Will that be made public? Spokesperson: You have to wait for it to be over first. That further questions can be directed to UNDP's David Morrison -- he was not in the briefing, and has not responded to Inner City Press's emailed questions from weeks ago. Beyond North Korea, these questions included a request for UNDP's comment on Greenpeace's and others' assertion that UNDP is supporting a gold mine in Rosia Montana in Romania. Three weeks ago Inner City Press supplied Mr. Morrison and then another UNDP spokesman with a copy of Greenpeace's letter to UNDP's Bratislava director, Ben Slay, and asked for a response. None has been forthcoming. In June 2006 UNDP Romania and members of BRC came to Rosia Montana/ Romania. Here Canadian Gabriel Resources wishes to develop Europe's largest open cast cyanide leach gold mine. 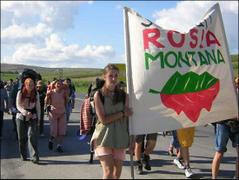 At Rosia Montana the UN mission met with members of Alburnus Maior, a local NGO which was told that the purpose of this visit was to evaluate for Romania's minister of the Environment development possibilities in the event that the proposed open cast gold was not given the go-ahead. The UNDP website indicates several reports about this UNDP mission that are inaccessible to the public and even written prior the mission's actual visit to Rosia Montana. 1. Is UNDP-UNEP working on a sustainable development project at Rosia Montana? If yes, what is the nature of this project? 2. According to the Hungarian press (Saturday, 24 February, Nepszabadsag), an UNDP-UNEP team is considering a 20 million USD partnership with Gabriel Resources. Is this accurate? 3. What is negotiated/desired partnership/collaboration between UNDP-UNEP and Gabriel Resources? Is there co-financing involved/ considered? If yes, from whom? House Speaker Barbara Prammer presented an award to CEO-President of Gabriel Resources, Alan Hill, on March 27.... the mine plans to use an environmentally hazardous cyanide leaching technology to extract at least 330 tonnes of gold and 1,600 tonnes of silver. The project has triggered strong protest among Hungarians who keenly remember that another Romanian gold mine using a similar technology near Baia Mare in NW Romania caused an environmental disaster, wiping out wildlife along Hungary's eastern waterways in 2000. Speaking over the phone at a meeting of EU foreign ministers in Germany, [Hungary's Foreign Affairs Spokesman Viktor] Polgar said that the honor had been proposed by the Romanian Meridian trade union along with the UN's development agency UNDP and forwarded by Austria's GPA-DJP trade union to the country's parliament. The Hungarian Foreign Ministry will request details about the issue from the Austrian ambassador to Hungary early next week, Polgar said, adding that the ministry hoped the award would be retracted. If the award is retracted, it will not have been with UNDP's help. There are other UNDP mining forays, from Zimbabwe to Haiti. To be continued. UNITED NATIONS, March 28 -- Alongside the delayed "urgent audit" by the UN Board of Auditors of the UN Development Program's payment of hard currency in North Korea, there is a criminal investigation of senior UNDP officials. Inner City Press has learned that 13 UNDP officials have been invited to appear at the office of the U.S. Attorney for the Southern District of New York for questions about, among other things, their awareness of UNDP's acceptance and concealing of counterfeit bills in North Korea. Among the invited are said to be UNDP finance director Darshak Shah, the head of the Regional Bureau for Asia and the Pacific, Hafiz Pasha, UNDP trust fund controller Bruce Jenks, Julie Anne Mejia, and UNDP finance chief Darshak Shah. Among the topics is who knew what, when. Most of the invited individuals -- and several individuals yet to be invited -- are known to have received warnings of irregularities in UNDP's programs in North Korea and elsewhere, long before the problems were inquired into by letters from the U.S. Mission. 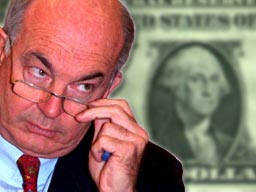 These began with a November 17, 2006, letter to UNDP Administrator Kemal Dervis from the U.S. Ambassador for UN Management and Reform, Mark D. Wallace. While the current process is described as voluntary, if declined the next step would be a request to the UN to have the officials' immunity lifted. The prosecutors have yet to invite the top two in UNDP, Kemal Dervis and Ad Melkert. While decried by knowledgeable sources as spin, some inside UNDP opine that, channeling Machiavelli, Dervis is hoping that the investigation provides him with a pretext to fire or clear out senior staff whom he inherited from previous Administrator Mark Malloch Brown. The danger in Dervis' strategy, these sources say, is that while Dervis directed Ad Melkert and even chief of staff Tengegnwork Gettu to sign most of the letters responding to U.S. Ambassador Wallace's questions, Dervis himself made representations about purported lack of knowledge or responsibility, including at a meeting held on December 22. 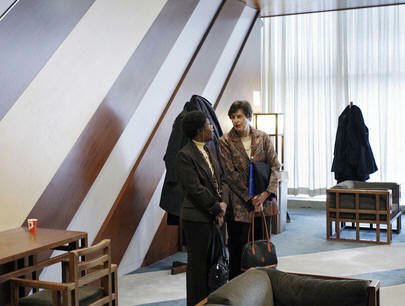 UNDP sources recount to Inner City Press a more recent, and more heated, meeting between Amb. Wallace and Dervis. We aim to have more on this. In earlier meetings with the U.S. Mission, finance chief Darshak Shah was asked about topics including the counterfeit (how much and when did he know), and Mr. Shah responded with denials which are now being more fully weighed. The issues inquired into implicate not only current but also past UNDP officials, and provide a roadmap of the various clans or "families" in UNDP. For example, the current head of UNDP's Regional Bureau for Africa, Gilbert Houngbo, served as financial overseer during much of the time at issue. Mr. Houngbo is described as a right hand man of Mark Malloch Brown, and close associate of Bruce Jenks. Houngo had been Malloch Brown's chief of staff but could not keep that position as Kemal Dervis came in. So Malloch Brown arranged for Houngbo to be named head of the Regional Bureau for Africa. But Houngbo's counterfeit knowledge travels with him, from one floor to another in UNDP's First Avenue headquarters building. Another UNDP power at that time has since left the agency, to head the UN Office of Project Services: Jan Mattsson. As Inner City Press reported earlier today, Mattsson has this month threatened the "severest disciplinary action" against any individuals who share whistle-blowing information with the press. Click here for that story. On Wednesday afternoon, U.S. Ambassador Mark D. Wallace provided this on-the-record comment to Inner City Press: "The U.S. strongly supports real whistleblower protection. Too often we have seen the UN bureaucracy hunker down to protect itself from criticism rather than taking the real steps to reform itself. The US stands by any legitimate and truthful whistleblower and calls on all UN entities to take steps to ensure their protection." We aim shortly to have more on UNDP's reactions in the face of the audit and the criminal investigation. How long did Mr. Pakkala, the head of the North Korea office, have access to the safe? Why was it only in February that it was "recalled" that the bills were in the safe? What is the name of the referenced "Egyptian"? Confirm or deny (and if confirm, explain) any recent suspension by UNDP -- which Mr. Morrison was directly asked about last week outside room 226, when he answered that he was unaware of any such suspension and has yet to seek to amend or supplement his answer. We will have more on UNDP's reactions and actions, including against staff, in the face of the delayed "urgent audit" and the widening criminal investigation. One of the way it may widen is based on the recognition that the half-dozen UN operations managers in North Korean during the time at issue came not only from UNDP, but also from UNFPA, UNICEF, OCHA and the World Health Organization, which has acknowledged to Inner City Press being the pass-through for separate funds from South Korean to North Korea. Developing. UNITED NATIONS, March 26 -- One week now into the delayed "urgent audit" ordered by Ban Ki-moon on January 19, sources point out recent changes in the financial books of the UN Development Program concerning spending in North Korea in 2006. In one set of books, the figure is $4,569,000. In another, more recent or "beta" set of books, the figure is $3,279,000. This second set of book is called "Executive Snap 4.0 Beta." The modifications are attributed by sources to the Director of UNDP's Office of Finance, Darshak Shah, and UNDP's trust fund meister Bruce Jenks. While what explains the $1,291,000 difference is not yet clear, this switch may explain the extraordinary gun-jumping comments to Sunday's Chicago Tribune by UNDP's spokesman David Morrison. Morrison wrote, "The audit began last week at UNDP headquarters in New York. UNDP welcomed this audit, it is doing everything it can to facilitate it, and it looks forward to the findings -- which we are confident will flatly contradict the assertions in" the Chicago Tribune and by implication elsewhere. Monday's AP picked up on the UNDP counterfeit story, quoting Morrison that the counterfeit bills "remained in a safe at the UNDP office until last month when the head of the North Korea office recalled that the bills were there during a visit to UNDP headquarters in New York." But what of the 22 months that this head of office, Timo Pakkala, had the keys to the safe? Did he never open it? UNDP's spokesman was seen earlier Monday trying to spin invited media, while ignoring questions about improper hiring, click here for that story. The audit began on March 19, a full two months after Ban Ki-moon called for it. Why did the UN Board of Auditors wait so long to begin the audit, and now a week in still not even have specific terms of reference? How can the audit proceed without access to those with first-hand knowledge? These questions will be explored in coming days. In addition to the $4.6 million in reported 2006 spending in North Korea, in UNDP's first set of books there are additional expenditures characterized as "Thematic Trust Funds Expenditure" and plain "Trust Fund Expenditure," raising the 2006 total to $7 million, quite different from the number UNDP presented to its Executive Board in January 2007. Inner City Press: And the other thing is: I noticed on the Deputy Secretary-General's meeting with Ad Melkert of the United Nations Development Program (UNDP) this afternoon... I guess I want to know the purpose of that, and whether we could speak to either or both of them before or after, given the North Korea-UNDP situation, and we also have a question for the UNDP about some hiring by Mr. Melkert. So, it would be very timely if you could at least put in a request for a brief stakeout. As usual with UNDP, the silence was and is deafening. It was never explained why UNDP's Bureau of Management's Akiko Yuge was sent out of town for the two weeks that auditors would be working in New York; now sources say Ms. Yuge and others have been summoned back. We will have yet more on UNDP immanently. UNITED NATIONS, March 22 -- As the delayed "urgent audit" of the UN Development Program's operations in North Korea went into its fourth day, UNDP spokesman David Morrison dismissed the leaked minutes of a meeting of UN Operation Management Team in North Korea, which specifically asked that cash payments in hard currency stop. "We are clear on the record that we don't deal in cash," Mr. Morrison said. Minutes of a December 8, 2005 meeting in Pyongyang involving local officials of UNDP and five other UN agencies clearly stated that "CASH payments should be eliminated." Click here to view. While in the online version of the minutes, the names of meeting participants were whited-out, Inner City Press today in this article, below, publishes the names of operations managers. All of these individuals, each of whom, unlike spokesman David Morrison, has direct knowledge of UN practices in North Korea, has yet to be interviewed by the UN Board of Auditors. Meanwhile, for two weeks after UNDP ostensibly ordered the suspension of its operations in North Korea, staff members seconded by the Kim Jong Il government were still allowed access to the computer files and ATLAS financial records needed for the audit. As acknowledged Thursday by UNDP's Morrison, four such seconded staff still have access to UNDP's computer system. These include ostensible drivers, who according to published reporters cash checks into hard currency, so such access may be hard to defend. Concerns about destruction of and tampering with evidence have been raised to the agencies and to the auditors. The response has been retaliation. Inner City Press: I noticed the Spokesman for UNDP is here and I'm assuming this is about these memos that have surfaced showing that requests were made earlier than previously recorded about cash payments and seconded staff. Is he going to come to the podium? ...Inner City Press: I guess I just want to say on the UNDP thing, it will work much better that Morrison come to the podium, whatever we're calling it, just because on procurement, I know that you did... by Friday, they came, but they did it in the hall and today they�re coming back. So it just seems it�s just more efficient to just do it on the record or whatever. Spokesperson: Okay, well let's ask him after we finish. Despite a second request, David Morrison declined to speak on camera, but rather waited in the hall. At 1 p.m., Inner City Press asked him if UNDP fires or suspends staff for providing documents to the press. Mr. Morrison responded, "I don't know, I don't know enough about the intricacies of UNDP's human resources policy.... I can look into it." Ten hours later, no information had been provided. During those ten hours, UNDP management continued on what staff describe as a "witch hunt," demanding to know who has spoken to the media, to Inner City Press, by name. Ban Ki-moon has spoken of transparency and of rooting out corruption. Suspending and threatening to retaliate against those who blow the whistle on irregularities is inconsistent with this -- it is "criminal," in the words of one UNDP staff member. The local UN staff in North Korea raised their concerns about cash payments and seconded staff to the UN's Resident Coordinator Timo Pakkala in January 2006. Thursday Inner City Press asked David Morrison how and when this information was conveyed further up inside UNDP. "I don't know what is our standard procedure with minutes of country team meetings," he said. "Can we find out?" There was no answer. Meanwhile, the practice is that minutes of country team meetings go to Regional Directors of each UN Country Team member -- in the case of UNDP, to Hafiz Pasha. Inner City Press is told that the warning was conveyed to officials including UNDP Director of Finance Darshak Shah, to Treasurer Julie Anne Mejia and to Jan Mattsson, the head then of UNDP's Bureau of Management and now the Executive Director of UNOPS. 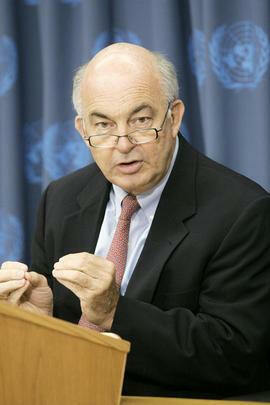 Thursday, Inner City Press asked again that UNDP Administrator Kemal Dervis take questions. Morrison said that he is the spokesman, and that "Kemal Dervis, as I think is established, meets with the press on a very regular basis." At UN headquarters, Dervis last took questions in December 2006, before this North Korea scandal broke, and before that not for sixteen months. Even to the UNDP Executive Board session about the North Korea issues, Dervis did not appear. Sources say that Dervis will not last long on the job. But the scandal will not go away. The attendees of the December 8, 2005 meeting in Pyongyang, calling for reform: Wannee Piyabongkarm (WFP); Lorraine Lamtey (WFP); Tony Shkurtaj (UNDP), Charles Lolika (UNICEF); Toe oung (WFP); Umesh Gupta (WHO); Withers U (UNFPA).